Imagine a Walt Disney movie that told the truth about a princess marrying, or being conscripted by a powerful leader -then living her life in hell. Perhaps Grim's Fairy tails are more accurate than Disney animations. Walt Disney cartoons are all about worshipping kings, princes and power. Walt Disney should make an animated film about a princess in company with the Saudi Crown Prince. Or an Eastern European woman through her beauty is able to sit on a gold toilet. Omnicide will take care of it. forecasts from the United Nations point to a new world order in 2050. The number of people will grow from 7.3 billion to 9.7 billion in 2050, 100m more than was estimated in the UN's last report two years ago. More than half of this growth comes from Africa, where the population is set to double to 2.5 billion. Nigeria's population will reach 413m, overtaking America as the world's third most-populous country. Congo and Ethiopia will swell to more than 195m and 188m repectively, more than twice their current numbers. 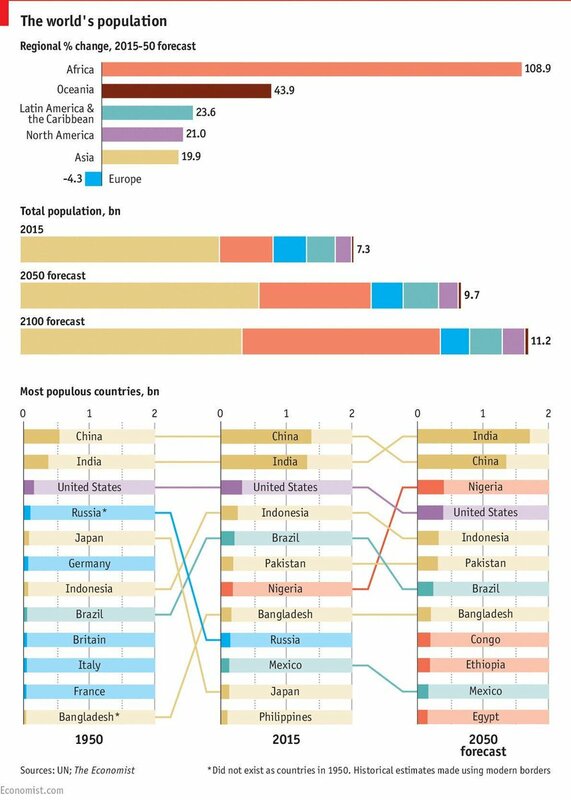 India will surpass China as the world's most populous country in 2022, six years earlier than was previously forecast. China's population will peak at 1.4 billion in 2028; India's four decades later at 1.75 billion. Changes in fertility make long-term projections hard, but by 2100 the planet’s population will be rising past 11.2 billion. It will also be much older. The median age of 30 will rise to 36 in 2050 and 42 in 2100—the median age of Europeans today. A quarter of Europe's people are already aged 60 or more; by 2050 deaths will outnumber births by 32m. The UN warns that only migration will prevent the region's population from shrinking further. 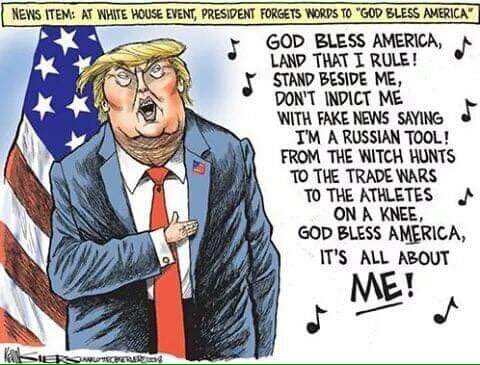 And then Trump got up and spoke.